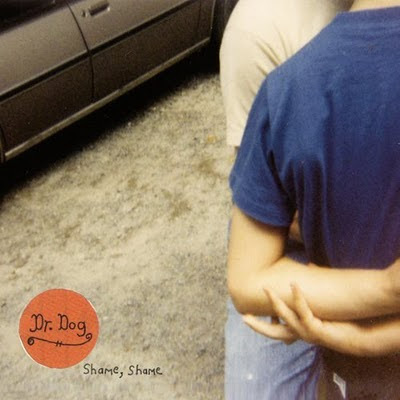 Tapes on the Floor: Album Review: Dr. Dog "Shame, Shame"
Album Review: Dr. Dog "Shame, Shame"
Dr. Dog's newest release, entitled Shame, Shame opens up with a song called "Stranger" which contains the line "I do believe / that there's no more tricks up my sleeve". If this is to be interpreted as a comment on the group's musical prowess, then it's abundantly clear to me that they spend the rest of the record proving this statement wrong. Shame Shame is the band's first release since leaving Park the Van records, a label they arguably helped to establish. Now signed to the larger label Anti-, Shame, Shame can be seen not only as a jumping on point for new listeners, but a continuation of the same brand of sonic exploration that Dr. Dog has been engaging in for years. As with past records, the band is at their best when they're laying down their own brand of upbeat, catchy rock and roll. "Where Did All The Time Go?" exemplifies this to the greatest effect, buoyed by its soaring vocal harmonies and layered guitars. This is equally true with bouncy 70s throwbacks like "Shadow People" and "Mirror, Mirror". However, the group is just as effective when the tempo slows down. Nowhere is this more poignant than on "Station", a song that references the band's long stretches on the road with the lyric "I'll be back again this time next year". The fatigue is palpable, conveyed through the alt-country arrangement and strained vocals. On Shame, Shame, Dr. Dog strip away some of the studio sheen, revealing a band that has paid its dues and is all the better for it. The record walks a fine line, both reveling in the sounds of the past, but also introducing a new, more mature side of the group. It's an exercise in transition and, contrary to the name, there's certainly no shame in that.